I read an interesting article last week about customers’ expectations on delivery – not surprisingly “allow 28 days for delivery” is out. Remember, a lot of customers take a huge leap of faith in ordering from a company they might not know. They almost expect to be ripped off and if they don’t hear back from you quickly a larger percentage than you would expect will start cancelling their payments. You can now order, pay and download a book or manual in seconds. You can order and pay for a physical product and have Amazon deliver it the next day. 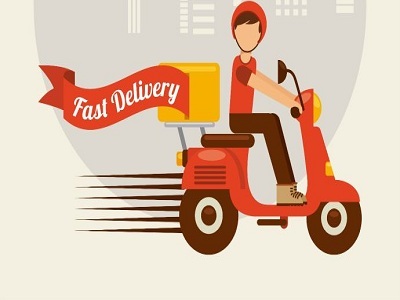 Customers now expect Express delivery. “Buyer’s Remorse” can set in very quickly and if you can’t get your product out to your clients quickly, expect your refund rate to soar. One client of ours took orders on line and didn’t want to send his manual as a download on line as this would attract VAT – nearly £40 on a £197 manual. So he replied to his client by return email saying that their hard copy was in the post but a free download version was enclosed for those keen to get going. Readers preferred the hard copy but liked the idea that they had instant access to the product – everyone’s a winner, except the VAT. Worth checking out that this still holds good as some VAT inspectors might not like to let that pass. In the long and distant past another client ran two stage ads in the National Press and sent follow up mailings to the people who phoned in. It was easier to send the follow ups in the post once a week but when they changed their system, so they mailed the follow ups daily by 1st class post, results jumped by 33%. It may be worth looking at the speed you respond to enquiries and product despatch in order to increase response and/or reduce refunds.